Not satisfied with the design of your floral display? Our range of spray colours is the perfect way to add a splash of colour and elegance to your decorations. From bold applications to subtle shading, these sprays give you complete control over those little details on your floral displays - with a range of colours available including deep reds and metallic golds and silvers. 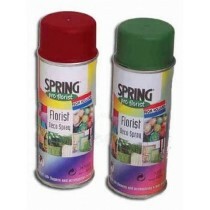 This selection of floral spray paint is designed to work safely and especially with flowers, so you know you can add the colours and designs you want without ruining your display! 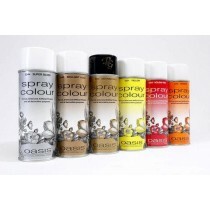 You can browse our full range of sprays below.